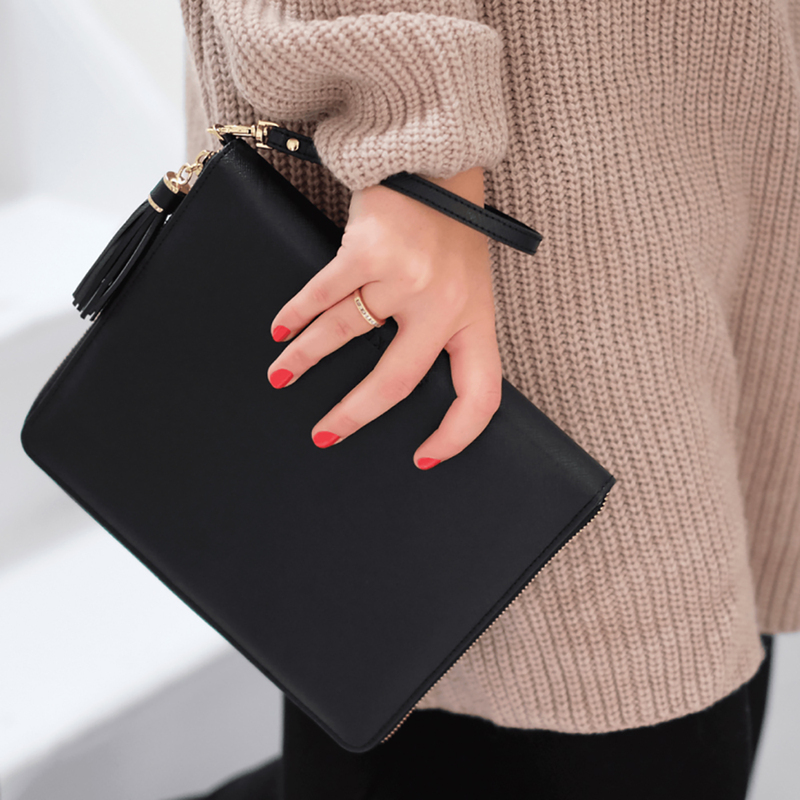 Luxury saffiano vegan leather clutch, perfect for going from work to night. 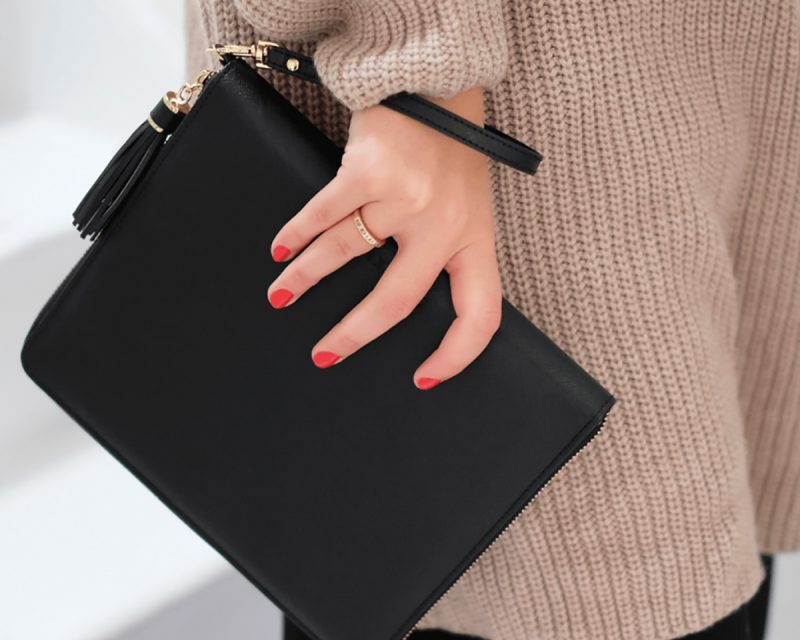 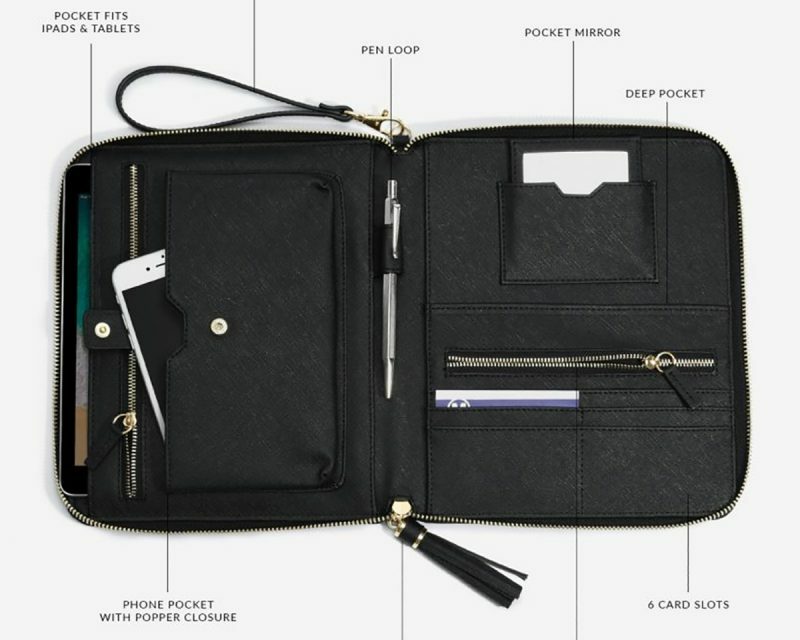 With many features, our clutch is anything but simple. 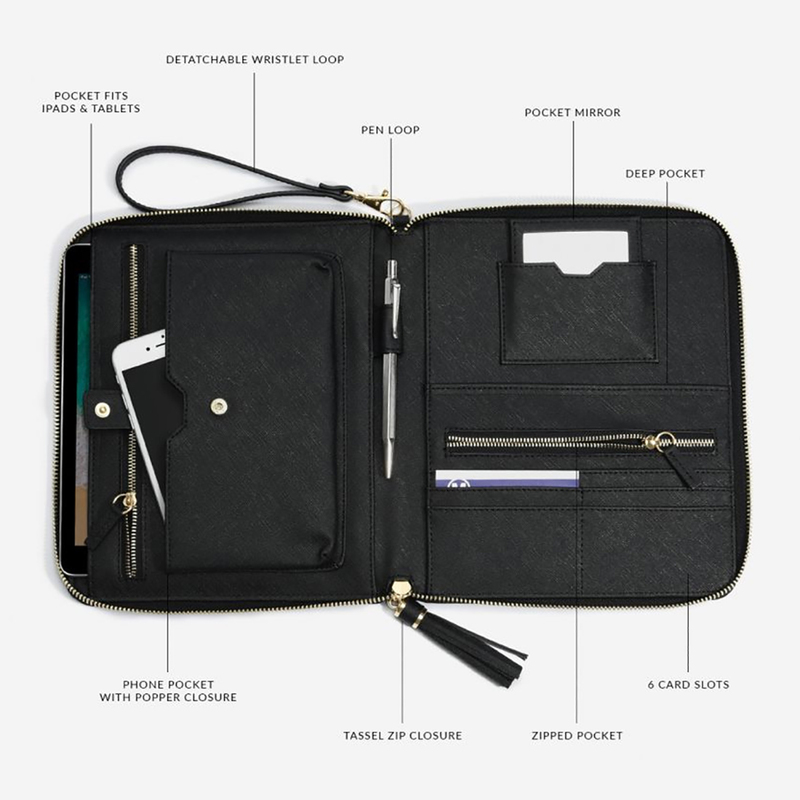 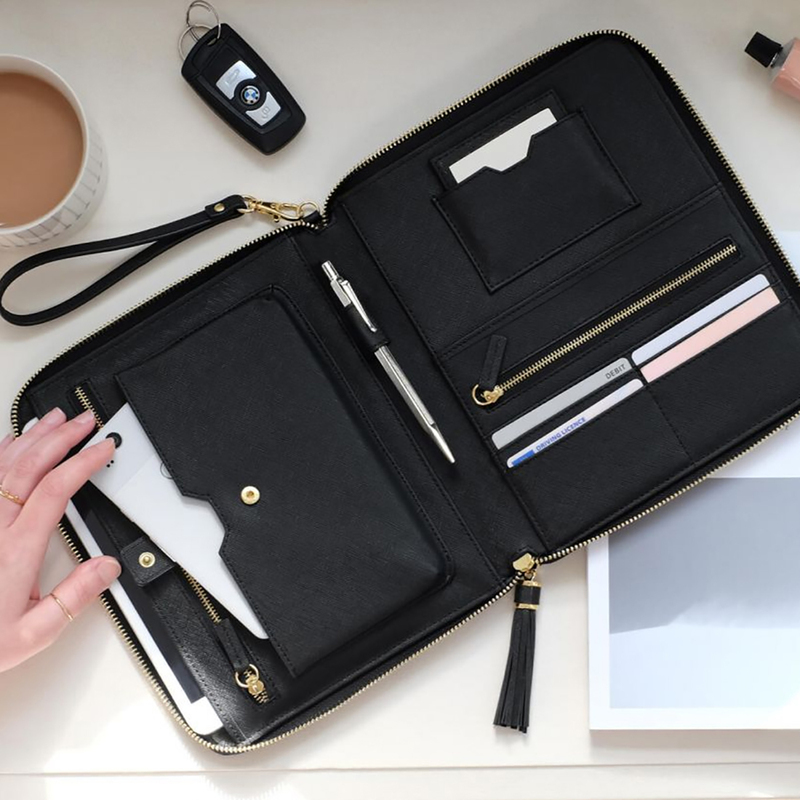 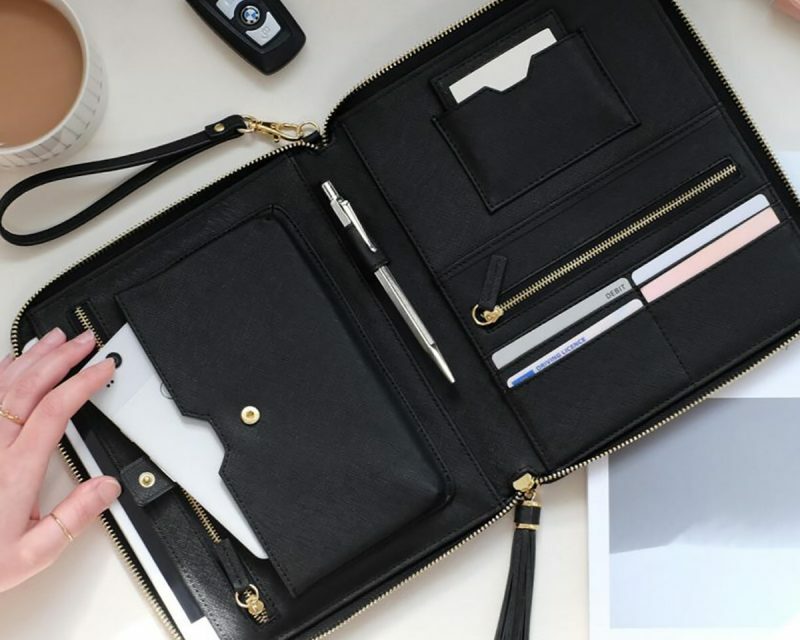 Including a secure phone pocket, a small tablet pocket (iPad mini), pen loop, pocket mirror, card slots, zipped pocket tassel zip and detachable loop handle.